Racing Bridle made from Maintenance free most modern PVC Coated Webbing material. Available in different colors and in glossy and matt finish. Stainless Steel or Brass Buckles. With or without padding on browband. Sizes: X-Full, Full, Cob, Pony, Shetland. 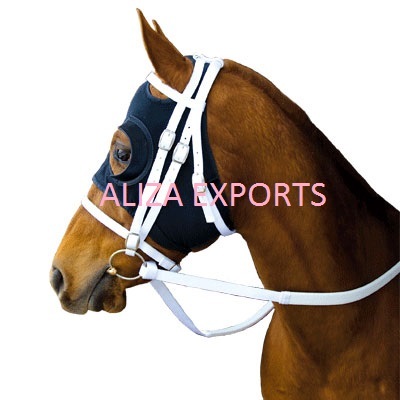 Light Racing Bridle made from Maintenance free most modern PVC Coated Webbing material. Available in different colors and in glossy and matt finish. Stainless Steel or Brass Buckles. With or without padding on browband. Sizes: X-Full, Full, Cob, Pony, Shetland. 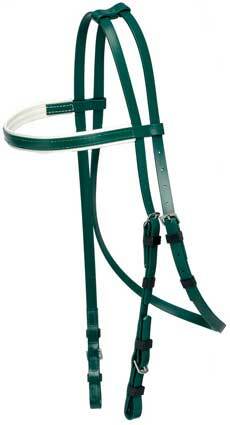 Racing Bridle with quick release throat lash made from Maintenance free most modern PVC Coated Webbing material. Available in different colors and in glossy and matt finish. Stainless Steel or Brass Buckles. With or without padding on browband. Sizes: X-Full, Full, Cob, Pony, Shetland. 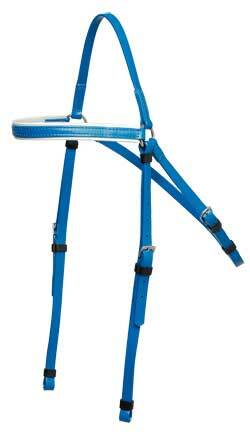 Reins with Rubber Grip made from Maintenance free most modern PVC Coated Webbing material. Available in different colors and in glossy and matt finish, Single or Double Color. Stainless Steel or Brass Buckles. Sizes: X-Full, Full, Cob, Pony, Shetland. English style bridle made from PVC Coated webbing dull finish . Fancy contrast stitching on brow band and nose band. Also available in glossy finish. Bridle in PVC with bling crystal browband.